The Tub and Scrub Laundry in the gold rush town of Digalittledeeper is run by Olympia and Sweet Sally. 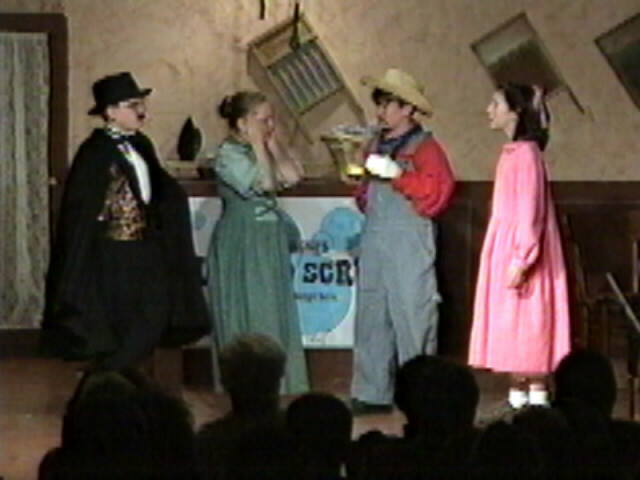 Sheriff Jack B. Nimble is in love with Sally, but every time he gets close, he turns into a babbling fool. 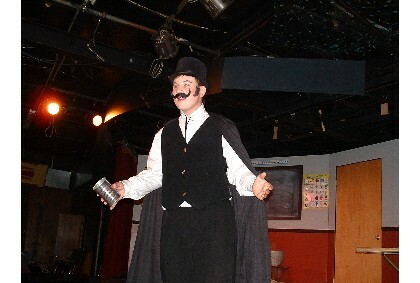 Our villain, Phineas Flatworm, discovers Olympia has amassed a fortune by rinsing gold flecks from miner’s laundry. Phineas figures if he had the only laundry in town, he’d make a million! He is aided in his dirty deeds by his mother, the hilarious Mrs. Mugwump, and the egotistical but talentless flamenco dancer, Lola-Lola. Soon laundries are mysteriously set ablaze. 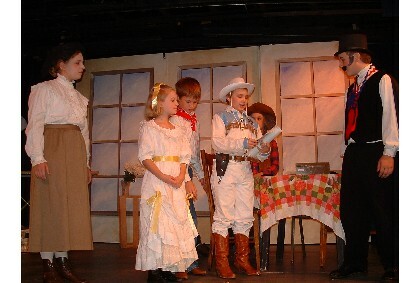 Mayor Haggle gives the Tub and Scrub a civic award for being the only laundry left in town, but a ghost turns up to accuse the villain of his crimes. Read more...You can just imagine the final spin of this musical romp... a laundry fight, where shirts, trousers and socks literally fly across the stage. 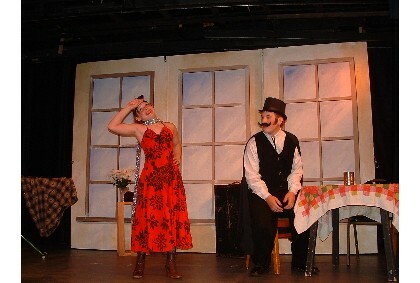 By curtain call, the evildoers are defeated and Jack manages to propose to Sweet Sally. The hilarious songs will make a huge splash with your audience. 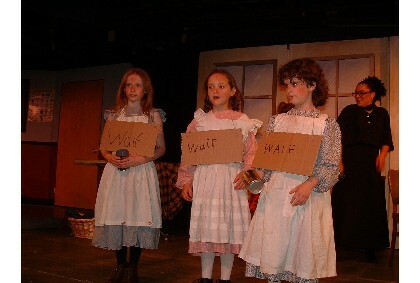 I liked the musical style and the fun nature of this script.